Purpose: Use this document as a reference for reinstating assets in ctcLink. Occasionally, a retired asset needs to be reinstated. 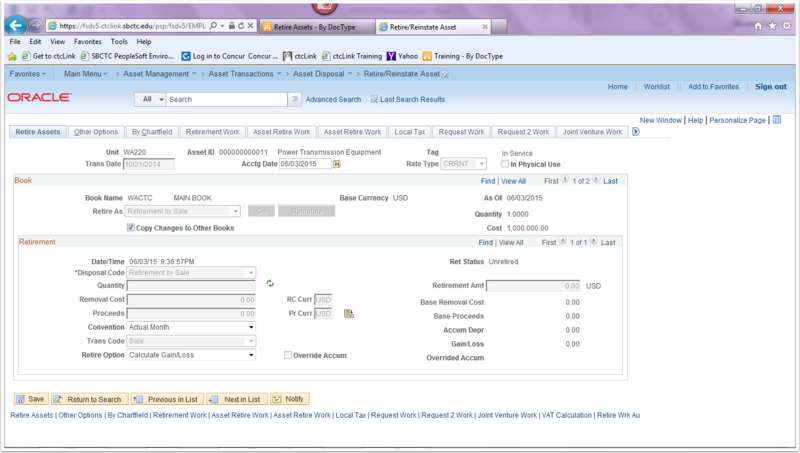 ctcLink Asset Management enables you to reinstate retired assets. Asset Management will then update the appropriate depreciation tables with the newly reinstated asset information. 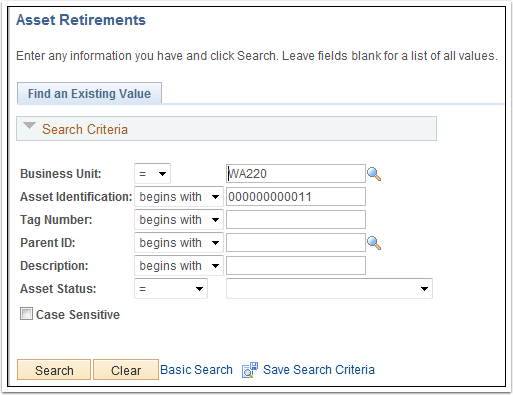 Choose the previously retired Asset ID. Because this asset was already retired, the Reinstate button is active.